In truth, it is doubtful that I will ever get a tattoo. I’m not particularly fond of them to begin with. But, in certain cases, I can understand the reason why people get them. My friend, Richard, for example, has his daughter’s name tattooed on his forearm. “That’s sweet, don’t you think Mom?” I unwisely asked. “No! It’s ugly,” she replied, “Would you like it if your father had your name tattooed on his body?” Good point, Mom. The problem with tattoos, of course, is that they are designed to be permanent. So making the decision to get a tattoo is literally one that people need to feel comfortable living with for the rest of their lives. The thing is though – as my Mom has often pointed out – is that styles change with the times. After all, we don’t wear the exact same clothes forever. We buy new ones to fit in with current fashions. I have a friend who had to remove her ex-boyfriend’s name from her skin. So I’m inclined to believe that a good number of people who get certain tattoos wish that they hadn’t. Nevertheless, Discovery Fit & Health estimates that more than ten million Americans have at least one tattoo and that there are over 4,000 tattoo parlours open throughout the United States. Something tells me that those numbers are probably a bit understated, as it seems as if everyone I know actually has at least one tattoo. Are Canadians more tattoo crazy than their American counterparts? If so, then that means that we Canucks most also be more regretful. Because I also know many people who wish that they could remove at least one or more of the tattoos that they have. All hope is not lost, however, Tattoo removal – as you may have guessed – is actually a popular skin care procedure. 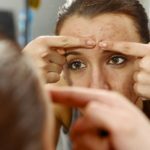 There are a number of methods, but among the most safe and effective is one known as Q-Switch Laser. 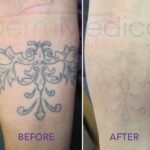 In my next blog, I will go over some of the finer points about this laser treatment that has helped many a tattoo-bearer remove a mark that they would otherwise regret having.